for $330,000 with 3 bedrooms and 2 full baths. This 1,733 square foot home was built in 1980 on a lot size of 7740 Sqft..
WOW! PRICED TO SELL NOW!!! THIS POOL HOME IS ABSOLUTELY THE HOME FOR ENTERTAINING, WHETHER IT'S FOR THE KIDS AND THEIR FRIENDS OR A PROFESSIONAL ENTERTAINING CLIENTS THIS WONDERFUL HOME HAS IT ALL THEN SOME. 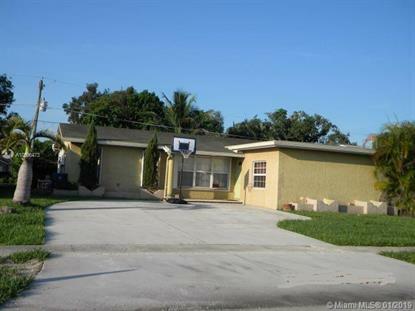 A VERY SPACIOUS AND OPEN FLOOR PLAN, TOTALLY REMODELED KITCHEN WITH A GAS STOVE AND GAS HEAT. UPDATED BEDROOMS AND GUEST BATH BEAUTIFUL WOOD LAMINATE FLOORS AND A TASTEFULLY CONVERTED GARAGE TURNED NOW INTO A GYM/PLAY ROOM. OWNERS ARE MOTIVATED AND READY TO MOVE ON. LOTS OF LOVE WENT INTO THIS HOME AND NOW IT'S TIME FOR A NEW OWNER TO CALL THIS WONDERFUL HOME THEIR OWN. ATTENTION, THE OWNERS NEED TO STAY IN THIS HOME TILL THE END OF JULY 2018!! !